We continue our look at classic Christmas songs with Have Yourself a Merry Little Christmas from Meet Me in St. Louis (1944). Have Yourself a Merry Little Christmas was one of three songs written by Ralph Blane and Hugh Martin for the MGM musical Meet Me in St. Louis (the other two songs are The Boy Next Door and The Trolley Song). The film tells the story of the upper middle-class Smith family who are living in St. Louis just before the 1904 World's Fair. The family's happy existence is turned upside-down when Mr. Smith (Leon Ames) announces that his law firm has transferred him to the New York office. 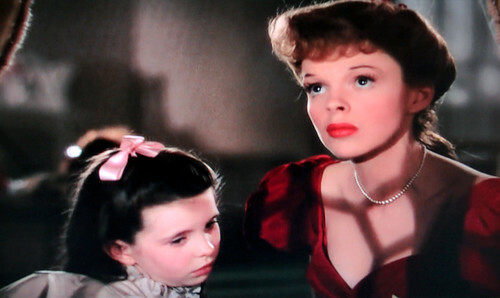 Esther Smith (right, Judy Garland) comforts her sister, Tootie (Margaret O'Brien), by singing Have Yourself a Merry Little Christmas. 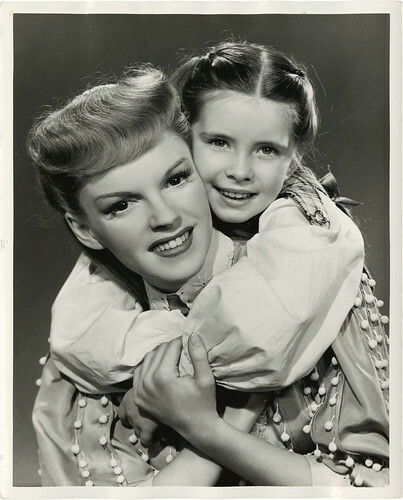 The news is particularly hard on two family members: teenage Esther (Judy Garland) who dreams of settling down with "the boy next door" (Tom Drake), and 5-year-old Tootie (Margaret O'Brien) who is terrified of leaving all she knows behind. On Christmas Eve, Esther finds Tootie crying in her room. She sings Have Yourself a Merry Little Christmas to comfort both Tootie and herself (above). The Smith sisters (Lucille Bremer and Judy Garland) sing "Meet Me in St. Louis." Blane and Martin used a lovely tune by Martin for the music and they wrote original lyrics that were closely integrated with the script. The song matched the fear and sadness of the scene with downbeat lyrics like "Have yourself a Merry Little Christmas/This may be your last/Next year we may all be living in the past." When Garland and director Vincente Minnelli heard the original lyrics they thought they were too depressing and urged Blane and Martin to make the song more upbeat. So they changed the lyrics to the much lighter "Have yourself a merry little Christmas/Let your heart be light/Next year all our troubles will be out of sight." 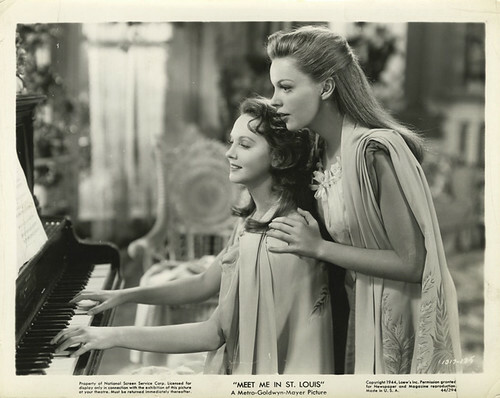 Judy Garland and Margaret O'Brien in a publicity still for Meet Me in St. Louis (1944). Have Yourself a Merry Little Christmas was an immediate hit, resonating with audiences who, after three years of fighting World War II, were just trying to make it through another day. The downbeat lyrics didn't fit with the more optimistic mood of postwar America, so Martin and Blane changed some of the lyrics for the sheet music (For example, the line "I guess we'll muddle through somehow" was changed to "Hang a shining star upon the highest bough"). Frank Sinatra recorded the definitive version (below) of the rewritten song for his 1957 album, A Jolly Christmas. In 2001, Martin and Garland biographer John Fricke re-wrote the song once again (Blane died in 1995). Have Yourself a Blessed Little Christmas reflected Martin's strong faith in Jesus Christ. Here is a link with Martin's life story. Martin accompanies gospel vocalist Del Delker in the clip below. Sources for this article were The Songs of Hollywood by Philip Furia and Laurie Patterson and the documentary The Making of an American Classic.